A threaded flange is a connecting device that can be secured to a length of pipe without welding. Using a tapered thread, the threaded flange is tightened onto the pipe without leaking, however, a seal weld is commonly used, when appropriate. The nature of the threaded connection makes the threaded flange a viable option when welding is not feasible, such as highly flammable or explosive areas. This flange is commonly used only on smaller diameter pipes. In many refineries, manufacturing facilities and shipyards, the highly explosive nature of the materials being moved via pipeline prohibit welding. 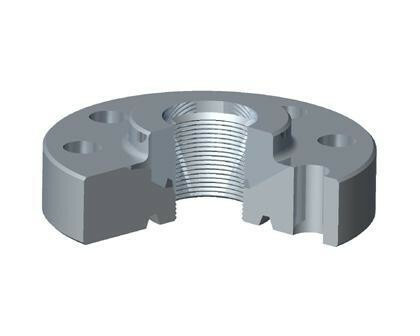 In this type of environment, the threaded flange is often a good choice when assembling pipelines. Using a tapered thread inside of the flange, the pipe is tapered on its exterior and is threaded into the threaded flange. As the two tapers become enmeshed, the flange joint becomes tight and leak-proof. If conditions exist that deem welding safe, a seal weld is occasionally placed around the junction of the pipe and flange. The threaded flange is typically found on smaller diameter pipes, as it is difficult to machine exacting threads into large diameter applications. This type of connection is well-suited for use on high-pressure and high-temperature pipelines. The heat expands the pipe into the flange, making the seal even more leak-proof. When assembled prior to any flammable liquids flowing through the pipe, a seal weld is occasionally placed at the union of the pipe and the flange to make certain of a leak proof connection. Unlike a weld on flange, the seal weld is used only to eliminate the potential for a leak developing and is not crucial to the strength of the union. One of the many areas that a threaded flange is used in is food preparation areas and any location that stainless steel piping is used. Stainless steel is often difficult to create a visually aesthetic weld on, therefore, using threaded connectors, flanges and joints is routine when assembling this type of pipeline. 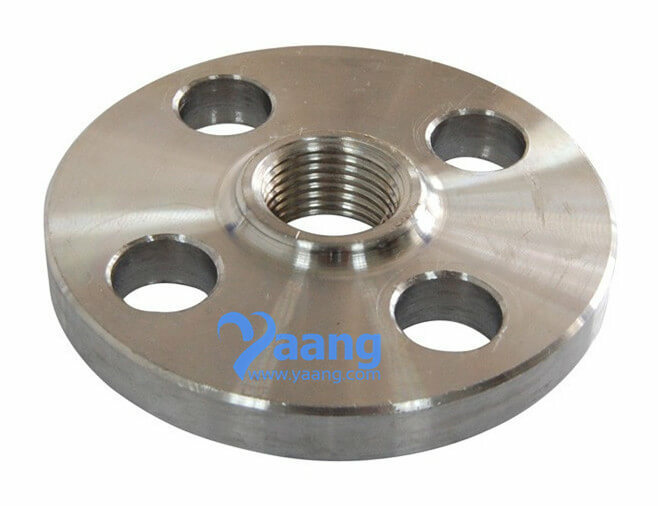 This style of flange is commonly used to create a union that is able to withstand the typical collar clamp placed over two uniting, flat flanges. Steam lines often use the threaded pipe and flange to withstand the enormous pressures that can be generated within a steam pipeline. In high-volume pipelines, the thread-on flange decreases the possibilities of a misaligned flange and pipe creating disruptive turbulence within the pipeline. 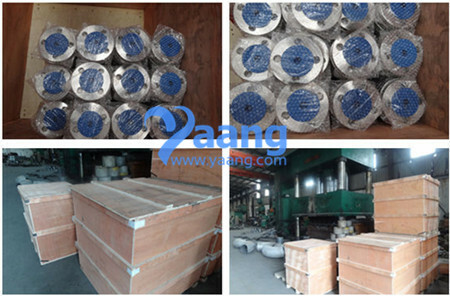 Where can we find the high quality ASTM B366 UNS N06022 Hastelloy C22 Threaded Flange.